Since forming in 1993, Detroit-based electro-techno group AUX 88 have spearheaded a '90s-style rewrite of the breakbeat electro-funk of the early Motor City sound. 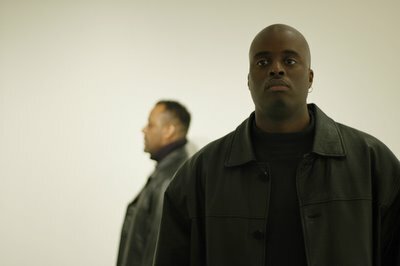 Often referred to as techno bass, the style integrates elements of early Detroit and New York electro, Miami-born bass music, and the dark, gritty analog edge of Detroit techno, AUX's releases (mostly through the similarly styled Direct Beat label) are typically uptempo, bass-heavy party rockers in line with Detroit classics such as "Cosmic Cars," "Party Race," and "Play It Cool," but with a dark edge similar to "Clear" and "Technicolor." Responding to the wholesale export of the music following its popularity in Europe in the mid- to late-'80s, AUX see themselves filling the cultural gap left by the mainstream absorption of the first few generations of Detroit techno. Rather than simply carry a hometown techno torch, however, AUX have returned to the roots of the music in the electronic breakbeat, and, along with artists like Will Web, Mike Banks, and Drexciya, have found themselves on the front lines of a full-on electro revival. For last news, Tommy Hamilton (Tom Tom) and Keith Tucker (aka DJ K-1) have recombined their AUX minds to reform and create their latest 13 track LP entitled AUX 88. I have a music quiz site.